Announcing the 2013 GALA Artists Market! The holidays are quickly approaching! Get a jump start on your shopping list while also supporting the local economy and community artists. 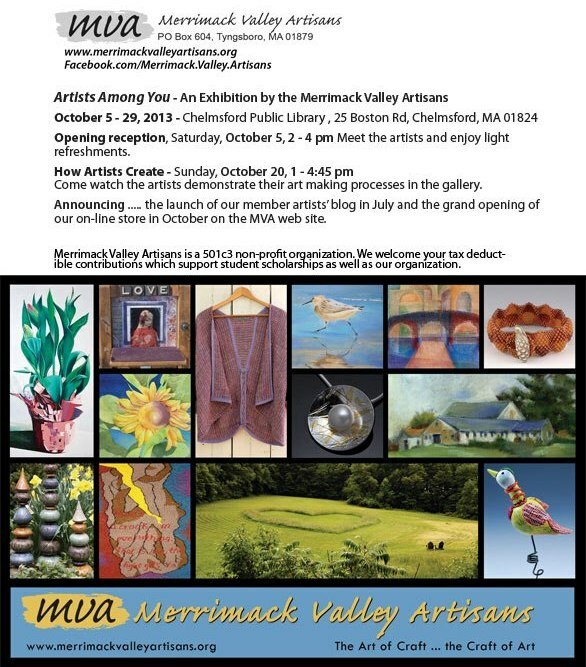 Join us for the 2013 GALA Artists Market, Saturday, November 9th from 10 am to 4 pm at the Gardner Senior Center, 294 Pleasant Street, Gardner. Find truly unique, thoughtful, and creative gifts. Purchase items directly from the artists that created them. Observe artists demonstrating their skills. Listen to the sounds of local musicians' Music CDs while you shop which will be available for purchase as well. Try your luck at our popular Raffle table which will also be filled with GALA artists' creations. So, be sure to mark your calendars, grab your friends and family, and join us for a festive day! Reminder to GALA members: The Annual Meeting will immediately follow the Artists Market at the Gardner Senior Center. Please email info@galagardner.org if you would like more information regarding the member meeting. all of which goes to WGBH for support of public broadcasting. for the week prior to the auction. Linq Releases "DISCONNECT", Her Sixth CD! Royalston-based singer-songwriter Linq is pleased to announce her sixth full-length CD, DISCONNECT, to be released at a CD Release Party in "the back corner" at Bruce's Browser in Athol on Tuesday, October 15, 2013, at 7 PM. With threads of connection and disconnection ghosting throughout, the eleven-song disc features her trademark original political folk as well as a fitting Tom Petty cover. Linq will perform some of the songs, discuss the inspiration for their creation, and field questions and comments from the audience. Refreshments will be served and she'll be happy to autograph copies for anyone interested. at the Heywood Hospital Chronic Wound Care Center. GALA celebrates a long-standing tradition of exhibiting in the waiting room and the patients appreciate the different displays. There is an excellent hanging system for up to 11 pieces and good light. Artwork can be offered for sale. GALA artists who wish to exhibit there may contact Vicki at info@galagardner.org. Applications due by Saturday, Oct. 26. There is no fee to enter. Entries should portray theme of being inspired by winter holidays. Upcoming Art Exhibit Featuring GALA Members! Opening Reception Friday, October 18th from 6 - 8 PM. The show runs until November 16th. The show features the unique styles of the 5 artists, with more than 150 pieces of art including acrylics, oil, watercolors, pastels, and paper mosaic and collage paintings. Revival Gallery presents work by C. M. Judge including her newest video installation, CHERUB, a meditation on the sacred beauty of new life. The exhibition will also feature Judge's large charcoal drawings from the series Coiled Sweat: static memories of dynamic moments. A special screening of her latest meditative video created with Paula Rendino Zaentz will take place during the opening on Tuesday, October 15th from 5 - 8 pm, 713 Main St., Fitchburg, MA. (508) 320-8452. Through November 15th. Join us on Facebook. Join the GALA Artists' Circle! for the GALA Artists' Circle! 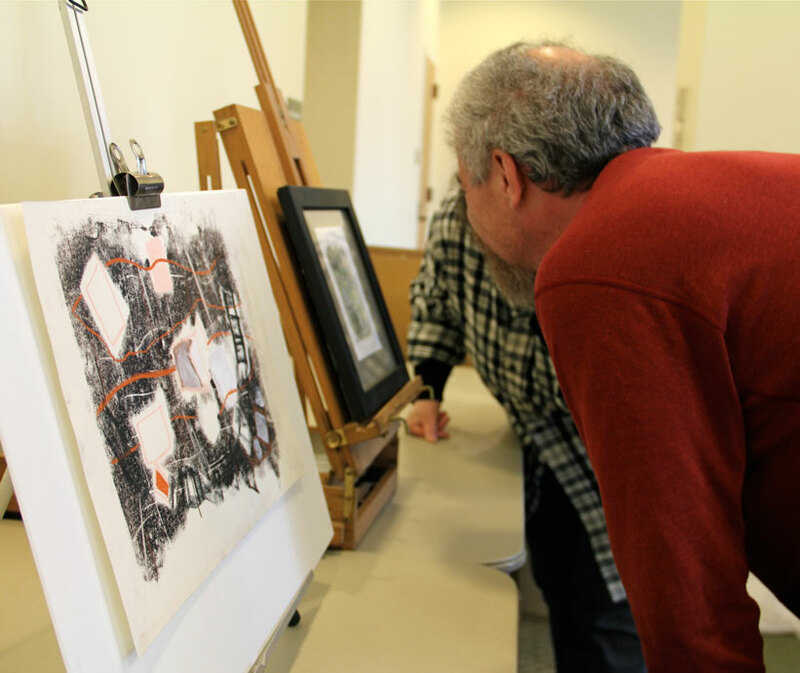 The Library is always looking for exhibitors to show their work in the Art Gallery there. in Gardner at 978-632-5298, or email her at kleslie@cwmars.org. Lisa Regopoulos' painting Denali, the Great One, was juried into the Connecticut Pastel Society's National Exhibition at the Slater Museum in Norwich, Connecticut. The show runs from October 10th - November 17th, 2013. www.ctpastelsociety.com. Her painting Urban Awakening was also juried into the Pastel Society of New Hampshire 2013 National juried show "It's Pastel" to be held at the Discover Portsmouth Center, Portsmouth New Hampshire which runs from October 24th - November 30th www.pastelsocietynh.com. Lisa also participated in the New Hampshire Art Association's 2nd annual Plein Air Event and her painting Dappled Light garnered the Purchase Prize award. 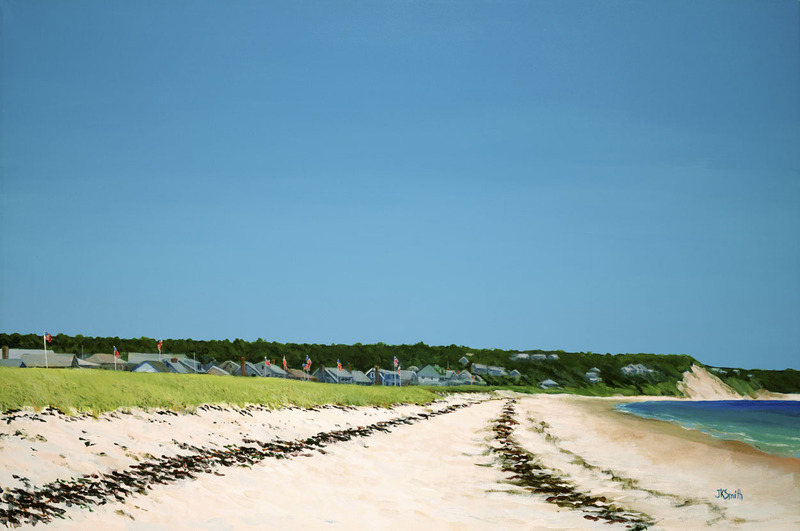 Princeton Arts Society members and fellow artists will be displaying nature and landscape related artwork in the Crocker House at Hey Day Saturday, October 5, 10 am - 4 pm at Mass. Audubon's Wachusett Meadow Wildlife Sanctuary, 113 Goodnow Rd, Princeton. Artists will also be located throughout the grounds demonstrating their artwork. See the poster. 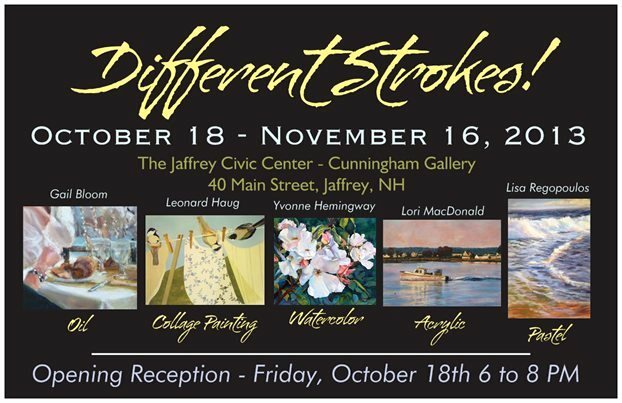 Alicia Drakiotes' Exhibit at the Cunningham Gallery at the Jaffrey Civic Center, Jaffrey, NH. It runs through October 5th. 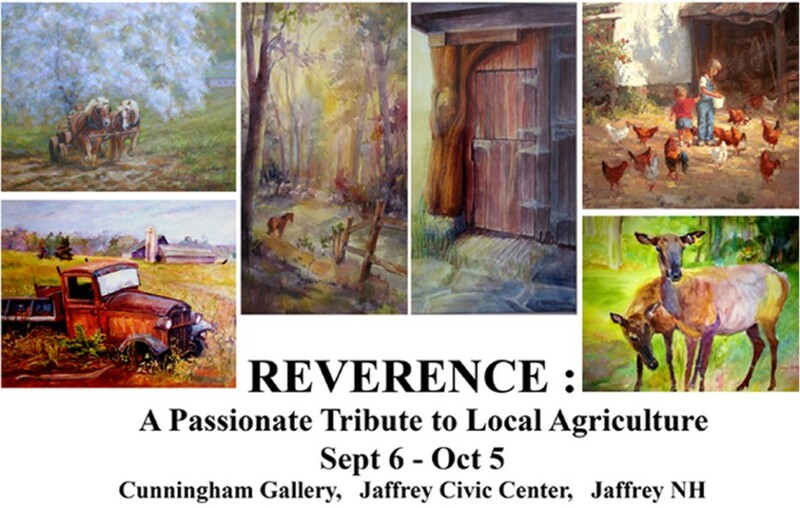 The exhibit is titled, Reverence: A passionate Tribute to Local Agriculture. The Gardner News is looking for poetry submissions from area writers for potential publication in their Monday editions. It could be a great opportunity to showcase your talents. Van Gogh, Monet, Whistler and other great masters utilized the visual drama of depicting fields, gardens, towns or people in rain, fog and mist. Learn how to create unique and beautiful tonal effects and atmosphere laden with moisture to soften colors and forms. 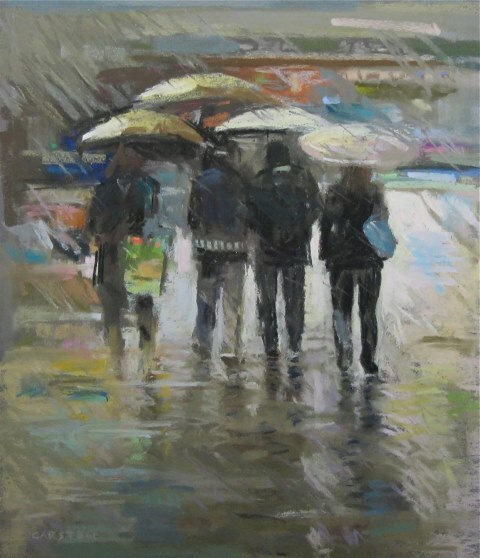 Demonstration and discussion will include pastel painting rain, fog and mist. Materials list provided. Doreen LaScola would like to offer services for stretching custom sized canvases. and to arrange an appointment. More Shows, Classes, Exhibits, Resources, Etc. Grants for Artists & Grant Assistance, Artist Health Insurance, and many other legal support and resources for Massachusetts artists. Check out the website for additional information and explore the multiple links to other resources for artists. Heywood Hospital Wound Care Center: contact Vicki Heidorn by email or phone. Email address is surroundingsgallery@gmail.com and her phone is 978-630-2340. The Townsend Meeting Hall Art Gallery: contact Alice Struthers by email at astruthers1@comcast.net or call her at 978-597-2057. Workers' Credit Union offers the opportunity for a small display of artwork at the bank at 171 Main St., Gardner, MA. For more info, contact Monica Whitehouse at 978-632-9207. If able, please include a digital image to include in the newsletter. to Sue Weber at suwebr@yahoo.com or the GALA mailing address. GALA Receives 2012 Constant Contact Email Marketing All Star Award! For the fourth year in a row, GALA has been named an All Star by Constant Contact for demonstrating best practices in the use of email marketing.